Popular TV gardener David Domoney officially opened the new Garden Room at the WI’s Denman college in Marcham, Oxfordshire on Monday 9 April, donated by home improvement company Everest to mark the college’s 70th birthday celebrations this year. The attractive and versatile Garden Room is made from extra thick, sustainably-produced timber. Fully insulated and complete with Everest’s energy efficient windows and doors, it will provide a useable and comfortable space for the college and WI members to enjoy all year round. An adjoining storage area with a separate door makes it a particularly flexible resource, whilst the abundance of natural light means it will be an ideal location for Denman’s small courses and workshops. This is the latest in a series of activities involving the WI and Everest, with a range of other shared initiatives and improvements already underway to support Denman and members of the WI. 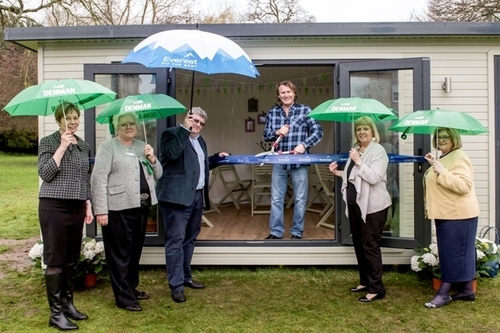 Everest’s new Garden Room will be on sale from late summer this year, giving homeowners an opportunity to add an extra room to their property without having the disruption of an extension. Available in a range of sizes, designs and finishes, with lighting and electrical sockets included, the Garden Room including the base comes fully installed. 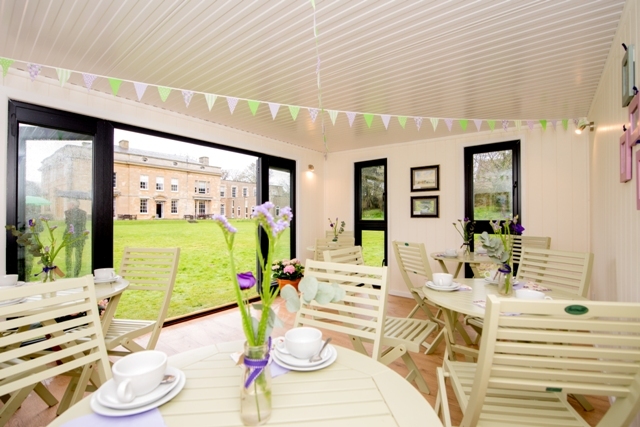 Visitors to Denman will find the new Garden Room outside the main house, to the left of the herb garden. and South-East England, each Everest window is custom made and fitted to the exact millimetre. Its products are continuously tested to the latest security standards as well as a number of bespoke tests demonstrating thermal efficiency, strength and more, ensuring that the homes of Everest customers are some of the warmest, safest and most secure in the country. Denman is the WI’s centre for learning, offering a wealth of opportunities to learn new skills on day schools and residential courses in the field of cookery, craft and lifestyle. All residential courses include accommodation in an en-suite, uniquely decorated room, all meals and refreshments breaks, and hours of tutor-lead workshops. This press release was distributed by ResponseSource Press Release Wire on behalf of Everest Home Improvements in the following categories: Home & Garden, Women's Interest & Beauty, for more information visit https://pressreleasewire.responsesource.com/about.